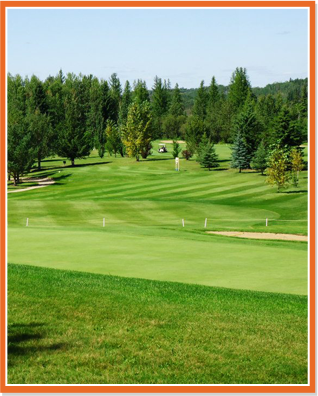 The Smoky Lake Golf Club is a beautiful, affordable facility near Smoky Lake, Alberta. Our course is ideal for hosting golf tournaments and other golf events. Smoky Lake Golf Club has something for everyone. The course is tournament friendly and appeals to participants of all abilities. You'll have access to four sets of tees, 40+ power carts (including 20 new Club Car™ power carts), and rental clubs. Our team offers full tournament services, tailored for your group. Join us every Wednesday at 6:00 p.m. for Men's Night. This weekly event features $10 games, hole contests, door prizes, and a great selection of food and drink specials. Join us on Thursdays at 5:30 for Ladies' Night. This weekly event features a complimentary swing clinic, fun golf, door prizes, and delicious food and drink specials. 3:00pm to 7:00pm Come try the new gear! 9:00am - 5:00pm (shotgun) Open to the public!